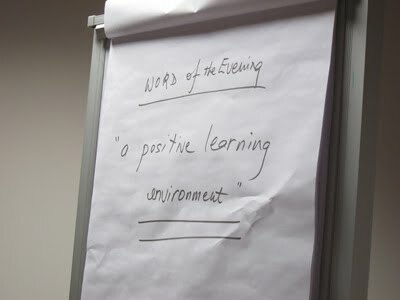 Do you know that in every Toastmasters Chapter Meeting, we have Word of the Day? The purpose behind choosing the Word of the Day is to introduce club members, fellow toastmasters and guests to a new word. This word becomes familiar to us and a part of our vocabulary after repeating it in the meeting. Words we speak, plays an important role in our daily life. We may pick a fight with people around us when we used the inappropriate words to cause unnecessary misunderstanding OR We can choose to empower people around us. Picking the right word for a speech or during our communication is crucial. Of course, once a month meeting may not be as effective as you spot new words everyday. It helps to kick start on the usage of vocabulary which you want to improve. It is a good idea to record positive words as you come across them in your daily reading that may include newspapers, magazines, blogs and memos. Over time, this record you have created can serve as helpful place to find motivating, encouraging and effective words. I proposed to try our Word of the Day as many times as possible, so that the word becomes familar to you. Thus you will remember this new word. If you are keen to know more about what Toastmasters movement can provide you with other the benefits, kindly join in our 88th chapter meeting. "Toastmasters provides a learning laboratory where you can enlarge your potential for advancement, promotion and success." You will receive laughter, fun and most importantly, nuggets of wisdom :) Come and see for yourself!